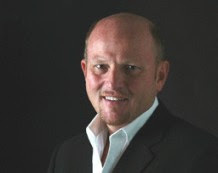 Ken Nisch, Chairman of JGA, a global leader in brand strategy created retail experiences for clients including Godiva, The North Face, H&M, Verizon Wireless and Hot Topic. With over two decades shaping the face of retail he unmasks the future of retail in this interview. DDI Magazine recently recognized you as a “Retail Luminary” with unparalleled creative excellence. Where do you get your inspiration? Most of my inspiration comes from looking behind things, under things and below things. It is about seeing the things that are “invisible.” For example, we sent out a thought-provoking New Year’s gift to our clients one year. It was an empty snow globe with the Thoreau quote, “It’s not what you look at that matters, it’s what you see.” I try to look to things that are less obvious. My daughter recently brought back a Carnival mask from Santa Domingo. At the time, I was working on a retail project in India. The mask inspired me to think about an identity within identity; a mask of sorts. It was a less than obvious inspiration “found” within the obviousness of a daily occurrence. You have developed retail experience for many world-renowned brands. What is your favorite project? Why? My favorite types of projects are often for museums. Each has a unique local and global identity reflecting the philosophy of the museum itself- sophisticated but inherently local. I also like challenging projects that take me out of my comfort zone. I remember working with Hot Topic and walking in as a middle-aged suburban guy working with a team that was clearly none of the above. I did a lot of listening and immersed myself in a place that was difficult for me to identify with. I had to create an office environment illuminating edge, freedom and the Hot Topic brand for a company that has a unique personality with the acumen of a business leader. You talk about bringing a brand to life. Do you think it is challenging for cause related products to be brought to life? What about difficult topics like human trafficking and modern day slavery? I don’t think it is impossible, but I think it is challenging to determine which stories to tell and how to tell them true to reality, stories of hope without whitewashing anything. As an example, a friend lives in Toledo Ohio, a smaller town near the Canadian border, the fourth largest city with convictions in human trafficking. Every place, every person, is affected by these realities. Finding the personal connection instead of the exotic, telling that story visually and intentionally, is a way to “retail” an important message about a hard-to-see topic. No matter how terrible the story is, there has to be an expression of hope. Despite a downturn in the economy, sales of cause related products continue to grow. Have you seen examples of companies providing a retail experience according to this trend? Many companies affiliate themselves with a cause from a marketing perspective. The danger is “green washing” or “cause washing.” There are some companies that are more actively engaged the causes they support. Estee Lauder is one example of a company walking the walk and using their clout in manufacturing to make an impact. Consumers can easily get jaded when there are a few bad apples in the bunch that abuse their cause-marketing platform and conduct business in an unethical way. So it is critical for companies to deliver what they say they will deliver. If it says organic, then it needs to be organic. We live in a day and age where people feel increasingly connected to other people around world. Where do you see the retail industry 10 years from now? Retail will continue to be integrated more globally. You will be just as more likely to purchase a brand from India than Indiana. People talk about the 3P’s – price, promotion, and product. I believe there will be a 4th P, philosophy. Sustainability and social change falls under this category. People will continue to consume, but with more consideration and emotional attachment to the impact of that purchase. I think that last P will be the most important factor when consumers decide to purchase. We currently source labor and materials from India and China but we don’t typically buy brands from India and China. The transparency of where products come from will be increasingly available to consumers. They will want the middle-man to be removed and consumers will want to understand how the source and the brand impact the livelihood of the artist. I recently read one of those in-flight magazines. It featured a beautiful necklace, and a person who wanted to purchase the necklace asked the magazine to provide the local artist’s contact information in Sao Paolo. I think Etsy and 10,000 Villages is a good model to examine as we move into a future where the consumer wants full transparency from store to product. Ken’s prediction of where the retail industry is going 10 years from now is already a reality for White Saffron, a local boutique in Soho. White Saffron modernizes traditional, local, and sustainable fashion. The boutique works directly with independent designers to ensure the authenticity in its materials, making sure that each fashion piece is fairly made and with sustainable materials. They feature a group of local and international designers and artisans every season to handpick a collection. Accessories labels as such as Trash to Trendy by Sheila Odessey and IENA Design develop their collections with used plastic bags and innertubes, while apparel label Eko-lab uses only organic fabrics. White Saffron supports the development of local designers and entrepreneurs by supporting independent labels such as Pamela Kay and Ellelauri. Both designers produce their collection in New York City. Boutique owner, Ying Ying Chong believes that sustainable fashion is going to be big in the next 5 years. Increasingly, there is a consumer demand for products that are sustainable and social.